I think @Roberthh is right: pyboard.py is your way forward. rshell is a command line utility and is not really intended to be imported into Python code. You might like to look at run-tests which is the Python script for running the MicroPython test suite. This enables tests to be run on the Pyboard using pyboard.py. Ahh, ok I miss-understood... I thought it was suggested to use pyboard from inside rshell, as it ships with it... not to use it stand alone. Ok, I'll give that a crack, thanks! The reason I was using rshell to start with is to get files copied over from the PI to my dev board, which I still need to do. 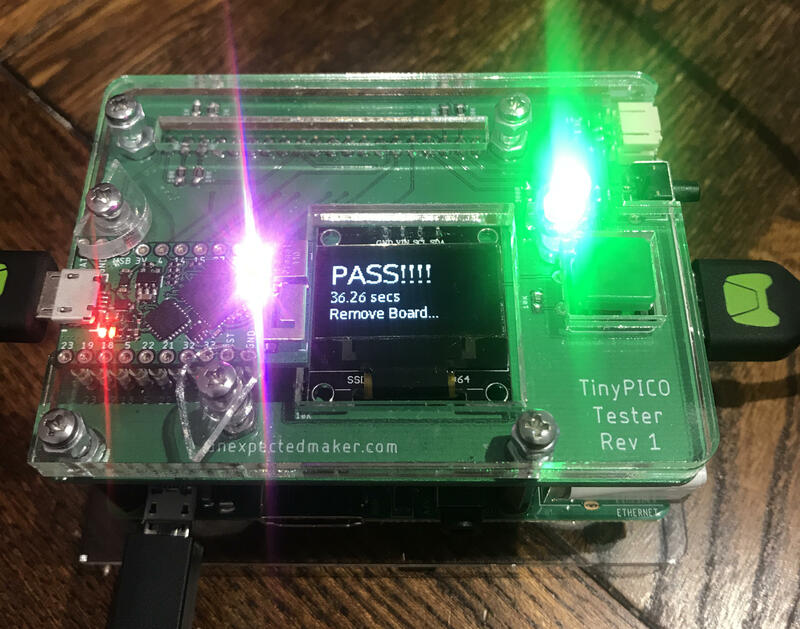 Ok, I am now using a combo of rshell and pyboard as I still need to copy over a bunch of files to the TinyPICO after the firmware is flashed, and couldn't see a way of doing a file copy with pyboard directly. Using pyboard and directly inserting code via REPL reduced my overall flash time by 5 seconds! I'm pretty stocked with this result... Under 30secs would be better, but at least I am now under 40! Just to clarify rshell is a tool for managing the filesystem on the device and accessing its REPL. In normal use you write code on a PC and use rshell to copy the script to the device. Using rshell's REPL you run and test your code. It is a powerful utility and it's well worth studying the docs to get the best from it. The pyboard utility is a more specialist tool intended for remote execution of code. rshell happens to use pyboard internally. Thanks... I got it working without rshell until the last step, where I use it to copy a bunch of files to the TinyPICO that I want included when they ship to customers.